Seven hurt in gas cylinder explosion - Integration Through Media ....! 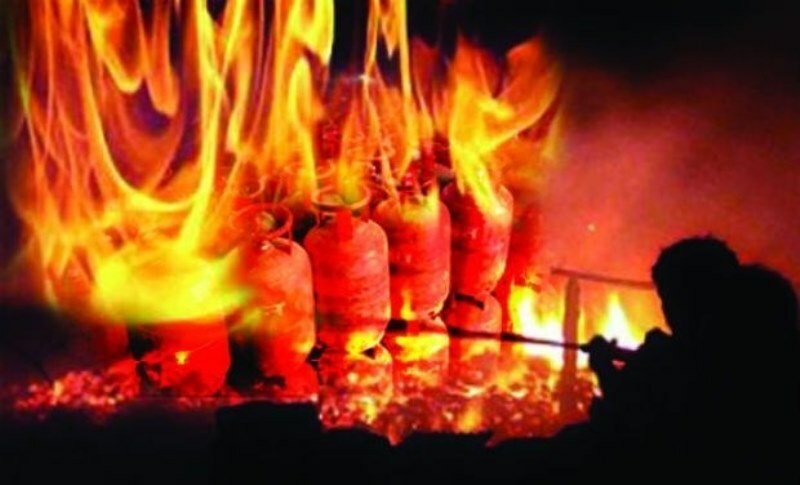 KATHMANDU: Seven people were injured after a fire broke out following a gas cylinder explosion in Jyatha in the capital city early this morning. The fire broke out from the sparks while fixing a mortar to pump water near 4:00 am in the house of local Suman Sthapit. Out of 80 oxygen cylinders kept in the ground floor of the building, 25 exploded after catching fire. Sthapit and three others are receiving treatment at National Trauma Centre while three others returned home following the minor treatment. Sthapit sustained injuries in the explosion while rest of the members got injuries while jumping off their windows. The house of neighbour Kalpana Tuladhar has witnessed slightly more damages after the fire while the walls and doors of some other houses have been cracked.